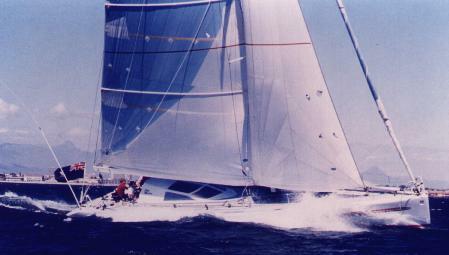 1989 plan Lavranos. 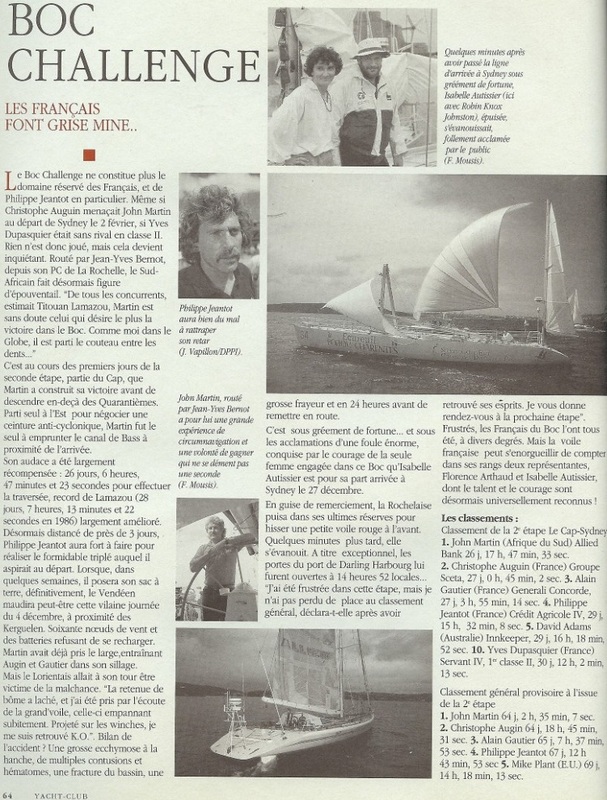 l: 6,00m TE: 4,00m déplacement 10,7t. 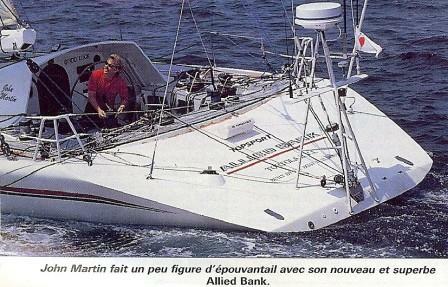 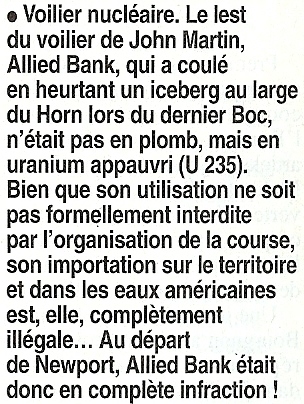 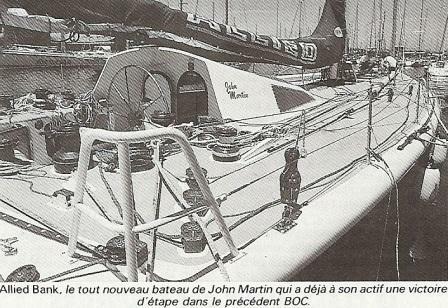 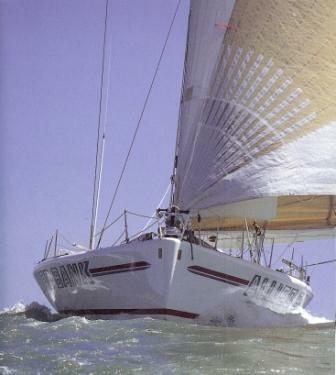 2015 July, picture from Angelo Lavranos: "Allied Bank broke the monohull 1990 Two Star Transatlantic record and won the Cape Town – Sydney leg of 1990 BOC and was leading by 17 hours when she hit an ice “growler” near Cape horn."